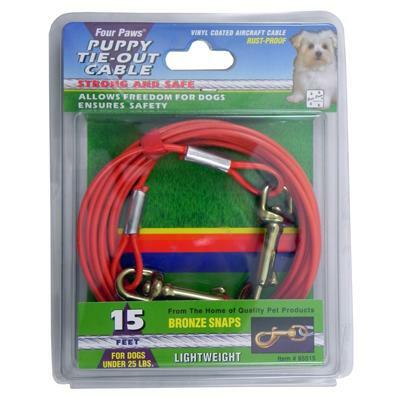 Four Paws Lightweight Tie-Out Cables are made from high-quality, vinyl coated steel aircraft cable. Allows your dog some freedom of movement, but keeps them secure in your yard and away from undesirable areas, such as gardens, compost piles, and patios. 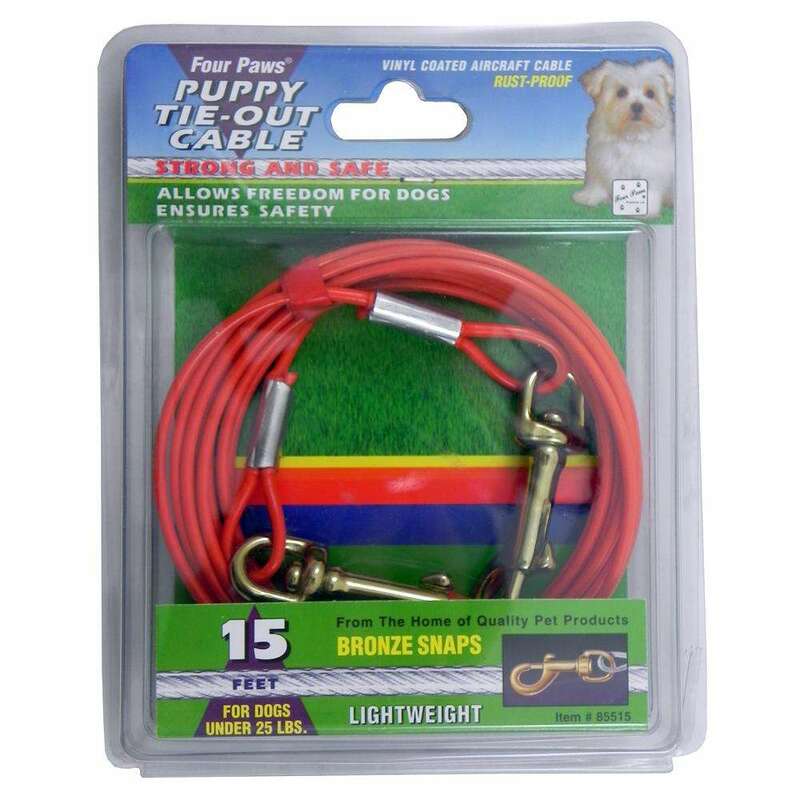 Suitable for dogs under 25-Lbs. Coated, corrosion resistant 15-ft. heavy steel aircraft cable. Tie-out secures with heavy-duty bronze snaps. Vinyl coating protects furniture and prevents grass from being dug up. Will not tangle and is safer than chain.